* For qualified buyers only. Model # 90419. MSRP $45,150. 2 at this price. Example VIN : KM558961. $4,000 down + Bank fee ($700) + $399 1st month payment = $5,099 due at lease signing + tax, tags & MV fees. $0 Security Deposit. 10K Miles per year. $0.25 thereafter. Offer expires 04/30/2019. Price is based on Tier 1 credit approval. See dealer for full details. * For qualified buyers only. Model # 84619. MSRP $47,270. 2 at this price. Example VIN : KC559768. $4,000 down + Bank fee ($700) + $399 1st month payment = $5,099 due at lease signing + tax, tags & MV fees. $0 Security Deposit. 10K Miles per year. $0.25 thereafter. Offer expires 04/30/2019. Price is based on Tier 1 credit approval. See dealer for full details. * For qualified buyers only. Model # 81219. MSRP $45,055. 2 at this price. Example VIN : KF133337. $5,601 down + Bank fee ($700) + $399 1st month payment = $6,700 due at lease signing + tax, tags & MV fees. $0 Security Deposit. 10K Miles per year. $0.25 thereafter. Offer expires 04/30/2019. Price is based on Tier 1 credit approval. See dealer for full details. 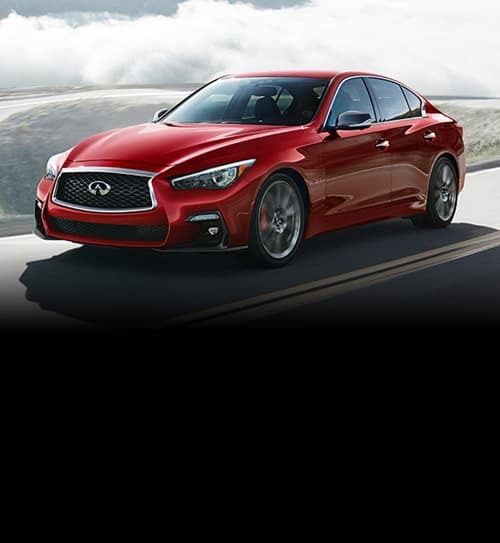 INFINITI of Manhasset, also serving Queens customers, offers an impressive selection of new and used vehicles. Our staff streamlines the process of buying a new vehicle with ease. Browse our complete inventory of new and certified pre-owned vehicles and learn more about our various financing options. Schedule a private test drive online or stop by our store and talk to us in person. Are you looking for a coupe that has seductive looks and impressive features? Then Brooklyn INFINITI enthusiasts can check out the Q60 Coupe at our store. We are sure you will love it. Our goal is also to get New York City INFINITI shoppers behind the wheel of their own vehicle while offering a truly exceptional experience!